Ahh, the birth of the hanging chad. IMPERSONAL electricity, which never grows tired or irritated by wrong answers, will be used in several schools this winter to correct examination papers. 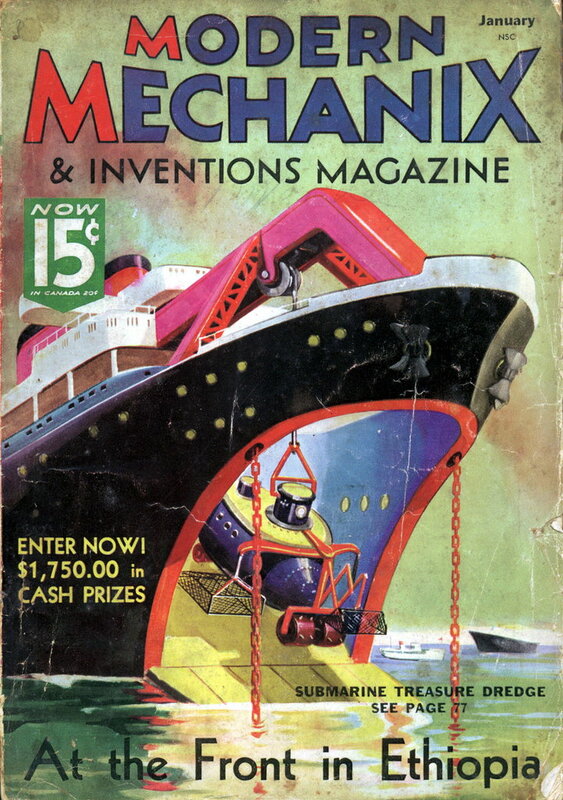 By means of a small device invented by Joseph Sveda and Herbert Lehmann, two New Jersey high school teachers, the papers will be electrically corrected at the rate of 25 a minute. 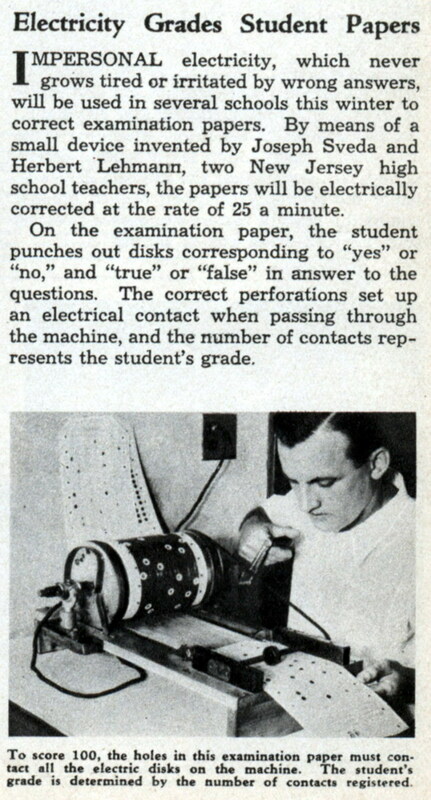 On the examination paper, the student punches out disks corresponding to “yes” or “no,” and “true” or “false” in answer to the questions. 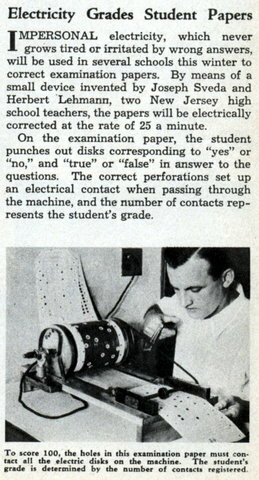 The correct perforations set up an electrical contact when passing through the machine, and the number of contacts represents the student’s grade.